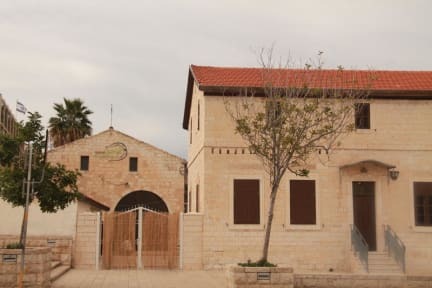 Al-Yakhour Hostel is located in a historical building in the German Colony - the tourism hotspot of modern Haifa, and at the edge of the Mount Carmel. In this rustic atmosphere, at the heart of the Hostel is a cozy lounge with a bar and library. Evenings will be passed with good music (to one's own taste.) , table games, cards and the one or another drink. We're looking forward to additionally hosting different kinds of events here. The prices include a very nice breakfast all homemade food, We are a low cost hostel, which means: cook your lunch in the fully-equipped kitchen. You can use the laundry room and hostel-owned towels for a small contribution. The rooms are air- conditioned and we provide free Wi-Fi. Al-Yakhour Hostel located in a central area which means, first: The beach is just 10 minutes away from the bus station right in front of the hostel. Second: there are dozens of restaurants, cafes, and bars in walking-distance from the hostel, also the popular Masada Street’s bars are just 10 minutes away. Third: The Mount Carmel and the Haifa Bay are famous sights of natural beauty, with many hiking trails around the mountain. 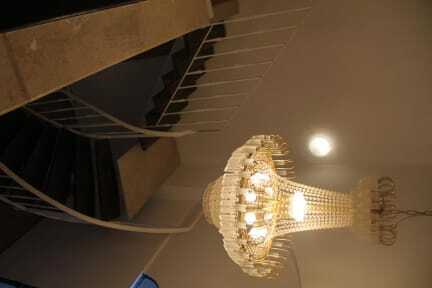 Al-Yakhour Hostel includes different kinds of rooms, which all of them are air-conditioned and also have a free Wi-Fi. You can find in our hostel dorm rooms which contain 6, 7 , 8 beds, we have a private room which can be suitable for small families or a couple, you also can choose one of two private apartments in our hostel. Cancellation policy: 48hours before arrival. Israeli citizens or any other guest that can't show his/her passport need to pay VAT as per Israeli law.